Low inflation, increased downside growth risks and yet an outperforming Malaysian ringgit (MYR) have been the factors behind our view that the central bank (Bank Negara Malaysia) will be under no urgency to change monetary policy anytime soon. The MYR has weakened to almost a year-low level against the USD of 4.18 on growing fiscal jitters ahead of the 2019 budget presentation next week. 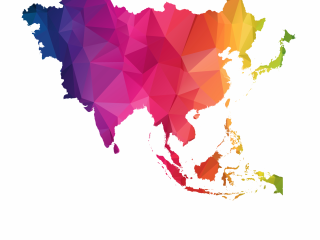 However, with sufficiently positive real interest rates the MYR should retain its year-to-date Asian outperformer position over the rest of the year. We consider our end-2018 USD/MYR forecast of 4.20 subject to upside risk. The launch of the Sales and Services Tax (SST) in the last month in place of the Goods and Services Tax (GST) that was repealed in June didn’t come as a big push to consumer price inflation. Inflation of 0.3% year-on-year in September was only a tiny uptick from August’s 0.2% print, and below our estimate of 0.5% and that of consensus of 0.5%. 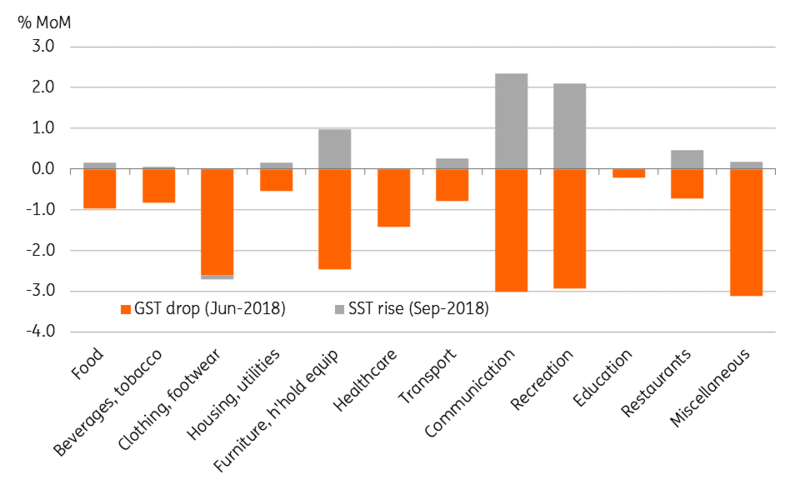 As the chart below shows the SST impact was negligible across most CPI components, except communication and recreation though these also failed to offset the GST related dip in June and the year-on-year increase in both these components continued to be negative. Among other things keeping inflation subdued are the high base effects in the key CPI components of food and transport prices. Year-on-year food inflation is running at its lowest level in almost two decades, 0.5%, while transport inflation dipped to 0.3% in September from 2.1% in August. At 0.3%, core CPI inflation remained converged on the headline inflation. The year-to-date inflation rate of 1.2% YoY is a significant deceleration from 3.9% a year ago. Inflation may have bottomed, though there isn’t going to be an upward thrust emerging until the consumption tax impact moves out of the base of comparison. 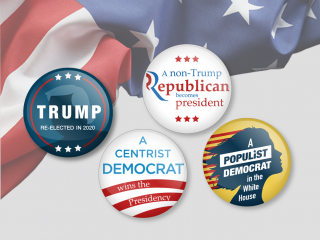 That's unlikely to happen until after mid-2019.